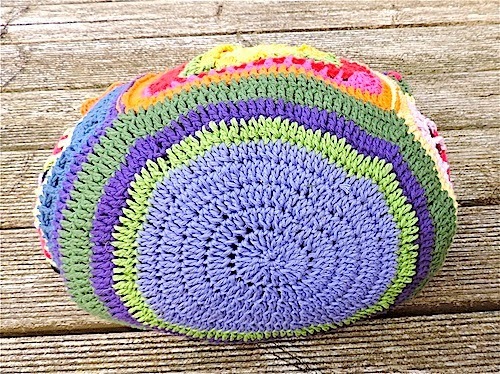 It has occurred to me on more than one occasion that a great thing about learning to crochet (and this would work for knitting too), as compared with sewing, is that you could have one ball of yarn and and continually make patterns and unravel them pretty much indefinitely. And that is pretty much what I’ve been doing with the aran weight cotton I had left over after finishing the Rainbow Blanket. But, after a while, I found myself wanting to finish something and be done with the aran weight cotton yarn and move onto to something else. 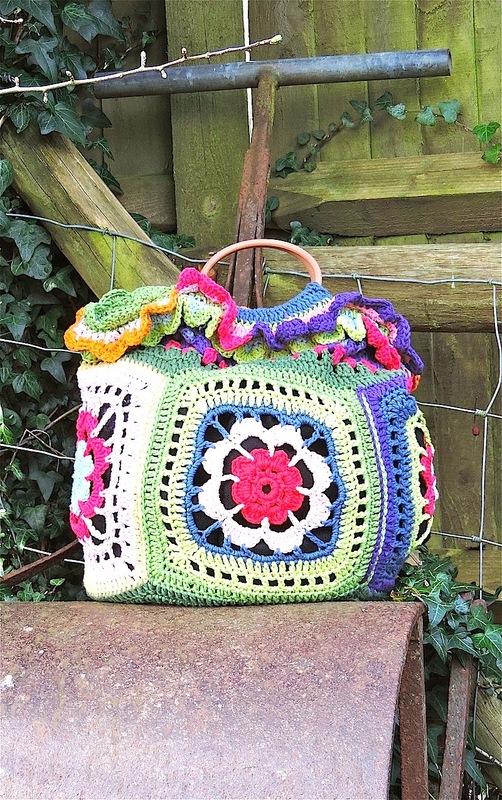 Eventually, I settled upon trying to make a boho gypsy bag and, no sooner had I joined together my favourite blocks and done enough work on the base to feel very disinclined to frog again, than I chanced upon the loveliest blog with an amazing bag. 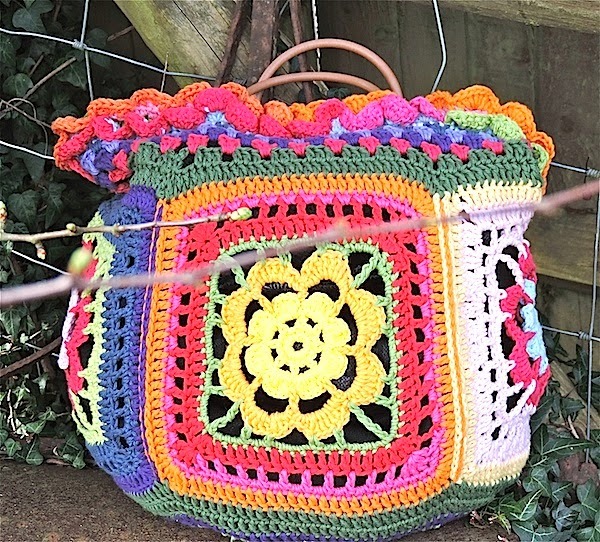 Without undoing everything and starting again, it was too late for me to make one very like this – perhaps that can be a project for another day – but I decided to try something remotely similar by adapting the bag I was making. I added some frills and used some round handles that were originally destined to become a Christmas present. And finally I have a bag. 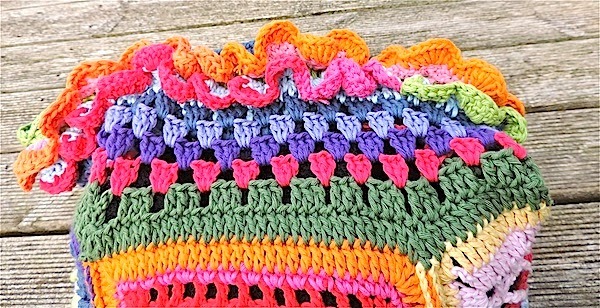 It has a hundred mistakes and a thousand knots but I know a LOT more about how to crochet now than when I started it – enough, I think to invest in some different yarn and start a new project! 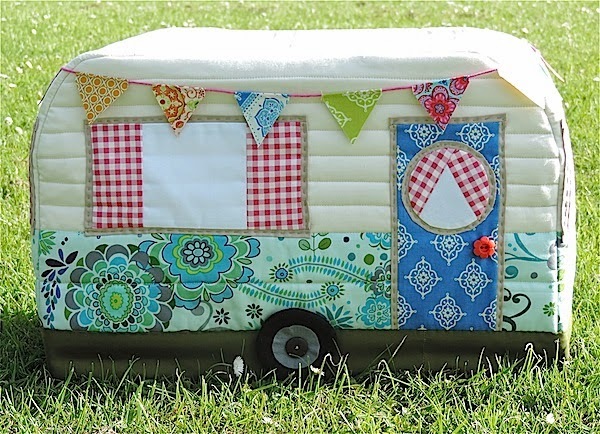 I’m linking this post with tami’s amis for fo friday. I love it Janine! it looks fabulous. I don't see any mistakes you did a great job. 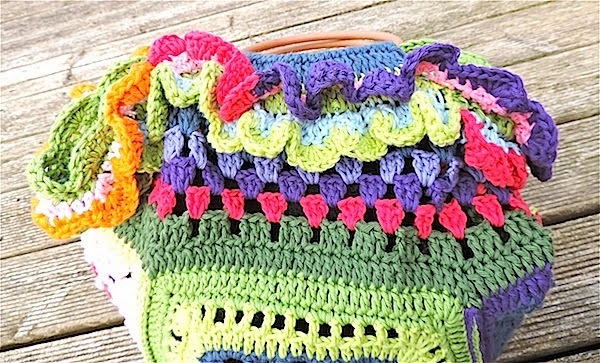 The thousands of knots and the hundreds of mistakes aside….which I must admit I can't see a single one….me thinks you are joshing….this bag is gorgeous. Week after week you keep coming up with the most wonderful crochet pieces!! I love this bag!! That's fab ! I'm off to follow the links! 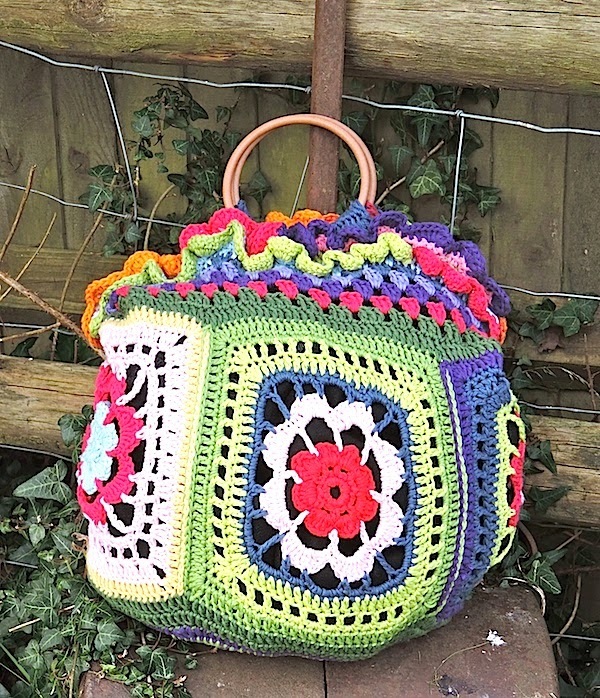 What a fun bag Janine, it must raise a smile every time you look at it knots and all! I really LOVE the bag; Well done!!!!! What a fun bag! I like the bottom and the cute little ruffles. 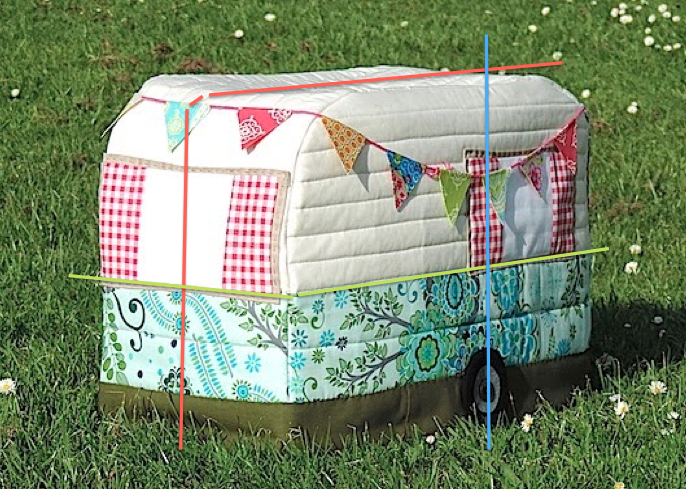 HAHA it's gorgeous – the ruffles around the handle give it such a fun kick! Have you decided on your next project?